4″ x 4″ x 3/8″ red tipped maple leaf and seed pod. Cook Inlet glacial clay, slip, mason stains, cone 6 oxidation, high calcium clear glaze. I collect the leaves at the off-leash dog park or the grounds at the University of Alaska Anchorage. The leaf is placed on a textured matte board with a firmed, slipped, slab of the local clay placed over the leaf and matte board. The sandwich is run through an old fashion etching press, the slab trimmed and the edges smoothed. Mason stains are applied in two applications before a cone 04 bisque fire. Small imperfections are fixed, if possible, and glaze is sprayed on, and the tile is re-fired at a higher cone 6 temperature, which makes the tile clay body nearly non absorptive. 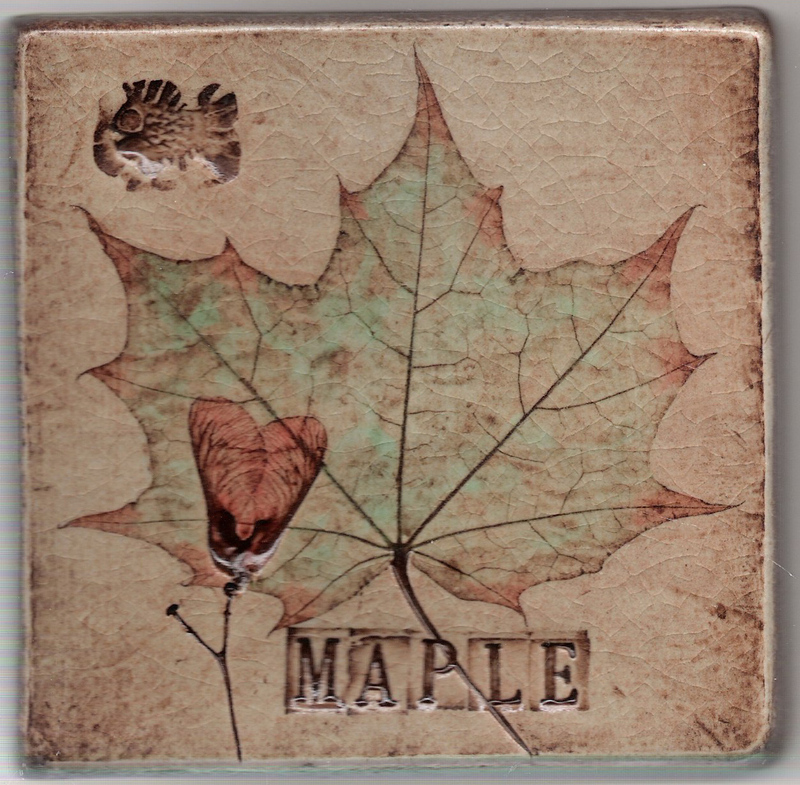 This entry was posted in Leaf Impression and tagged Alaska, Anchorage, art, art tile, ceramic, ceramic tile, Clay, glacier, Inupiaq, leaf impression, Maple, maple leaf, maple seed, mud flats, seed pod, tile. Bookmark the permalink.